Featuring the culinary genius of Chef Pascal Gendron, whether you’re here for business or for pleasure our restaurant has something for everyone. Check out our daily lunch and supper specials as well as our weekly specials such as Bud, Spud, N’ Steak Thursdays. Periodically we offer special event nights such as ‘Sushi Night’, follow us on our Facebook page to stay up to date! For over three decades Pascal Gendron has perfectly paired food with spices and flavours. Pascal hailing from Orleans, France, moved to Canada in 1989. With his classic French and Mediterranean cooking style, he became a member of the World Class Chef’s in 1996. Combining his European flare with his desire to cook entirely from scratch; Chef Gendron will prepare a culinary experience that will wow your palet. “I look forward to preparing exciting and flavourful food for you all. Stay hungry my friends. 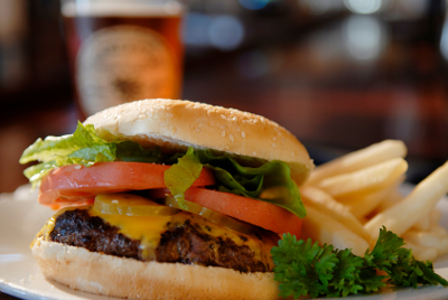 Our Tavern has flat screen TV’s and even a projector screen to watch your favourite sporting event. 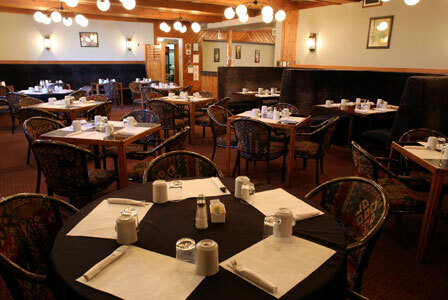 Grab a bite to eat from our unique tavern menu. Try your luck on one of our VLT machines, play a game of billiards, or enjoy an ice cold beverage on our patio. We also offer offsale at our Vendor, right inside the Tavern. Follow us on Facebook to stay up to date with special events!